After a class action lawsuit against Brad Pitt's Make It Right Foundation was moved from civil to federal court on November 7, Pitt’s lawyers have submitted a motion asking that Pitt be removed as a defendant in the case. 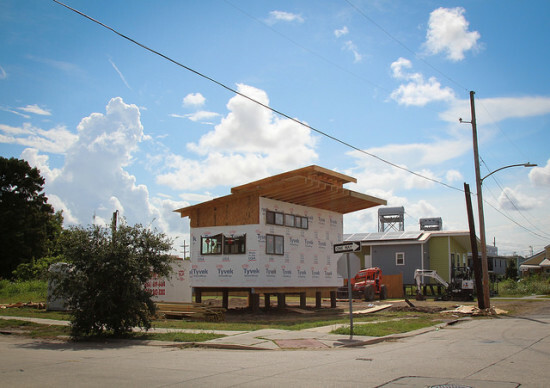 Although the actor founded and directed the New Orleans–based housing nonprofit, his lawyers claim that he had no role in actually designing or constructing the allegedly faulty housing at the center of the lawsuit. 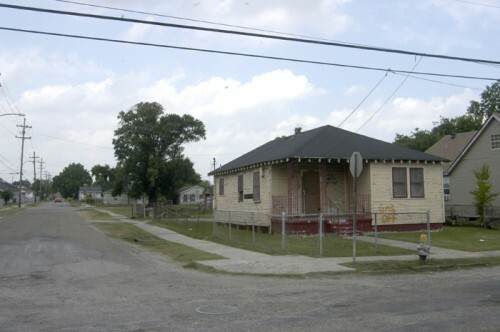 Make It Right, founded by Pitt in 2007 to help New Orleans recover from Hurricane Katrina, is facing a class-action lawsuit for selling what Lower Ninth Ward residents allege were defective, easily-damaged homes. 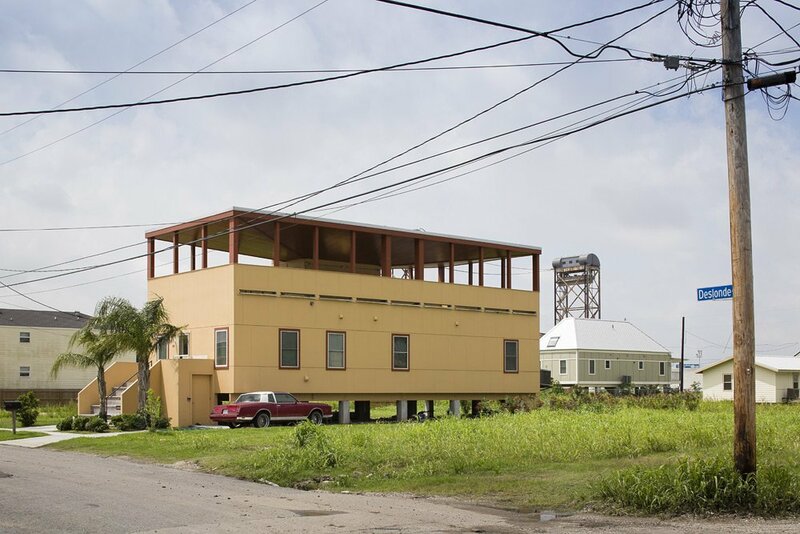 From 2008 through early 2016, Make It Right attracted Pritzker Prize winners and big-name studios such as KieranTimberlake, Adjaye Associates, Thom Mayne of Morphosis, Frank Gehry, Shigeru Ban, and more to build experimental, sustainable homes in the hurricane-ravaged Lower Ninth Ward. A total of $26 million was spent to build 109 affordable homes in the neighborhood, and the project initially appeared to be a success and drew design-minded tourists to the area. The lawsuit, which alleges that Make It Right committed fraud, contract breaches, and engaged in deceptive trade practices, is looking to wring millions in repair fees from the foundation and its former top officials. Make It Right, which sued their principal architect John C. Williams on September 19 in civil court on allegations of providing defective design work, acknowledged that fixing rain-damaged homes could cost up to $20 million. Lawyers representing the class action plaintiffs filed a motion asking that the case be transferred to federal court because three of the former officers live in North Carolina, because the final settlement could top $5 million, and because Make It Right was incorporated in Delaware. As for Brad Pitt’s involvement, his lawyers claim that even if the plaintiffs’ complaints against the foundation have merit, Pitt shouldn’t be included in the lawsuit. While Pitt founded and fundraised for the charity, he claims his involvement didn’t extend to anything approaching the actual design of the buildings. Notably, Pitt is only asking that he be excused from the lawsuit, not that the case not proceed. As Nola noted, this is the first time Pitt has spoken publicly about Make It Right since the 2015 Katrina anniversary. 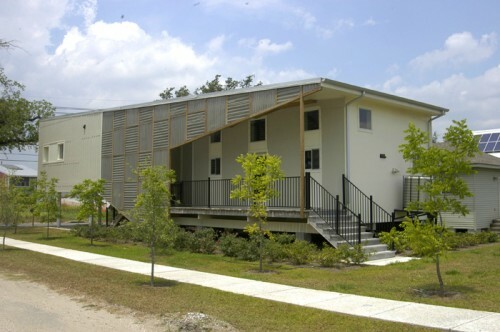 The Make It Right Foundation, a New Orleans–based housing charity, which was founded by actor Brad Pitt in the wake of Hurricane Katrina, has been hit with a class action lawsuit for allegedly selling residents “defectively and improperly constructed homes.” Since launching in 2007, the foundation has built more than 100 affordable homes in New Orleans’ Lower Ninth Ward, the area most devastated by flooding when the levees broke. The initiative attracted some of the biggest names in architecture, including Pritzker Prize–winners Frank Gehry, Shigeru Ban, Thom Mayne, and Alejandro Aravena, and was lauded in the press for its commitment to building green. However, within a few short years, many of the homes began experiencing serious structural issues as well as mechanical system failures, roof leaks, and black mold growth. According to the lawsuit, Make It Right was made aware of these defects by their own engineers but failed to notify homeowners, who would have been protected by the state’s New Home Warranty Act. The suit goes on to accuse the foundation of fraud, contract breaches, and unfair trade practices. 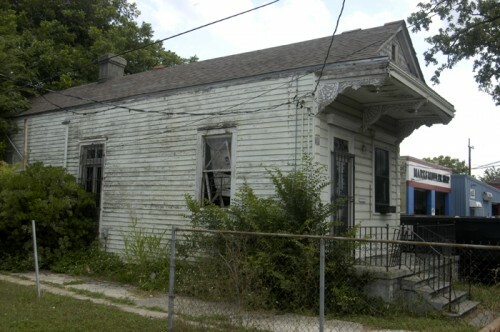 “While the citizens of the 9th Ward are grateful to Brad Pitt they were forced to file this lawsuit because the Make It Right Foundation built substandard homes, that are deteriorating at a rapid pace while the homeowners are stuck with mortgages on properties that have diminished values,” attorney Ron Austin told NBC News. “We have filed to make Make It Right make it right.” The litigation marks the latest in a series of troubling headlines for the celebrity-helmed nonprofit. In 2015, NOLA reported that Make It Right was forced to renovate 39 decaying decks at an average cost of $12,000 each, due to its use of TimberSIL, a purportedly long-lasting wood product that rotted in the subtropical climate. Earlier this year, the KieranTimberlake-designed house at 5012 North Derbigny Street became the first Make It Right home to be demolished, just seven years after being completed, following a prolonged period of vacancy, code violations, and half-finished roof repairs. 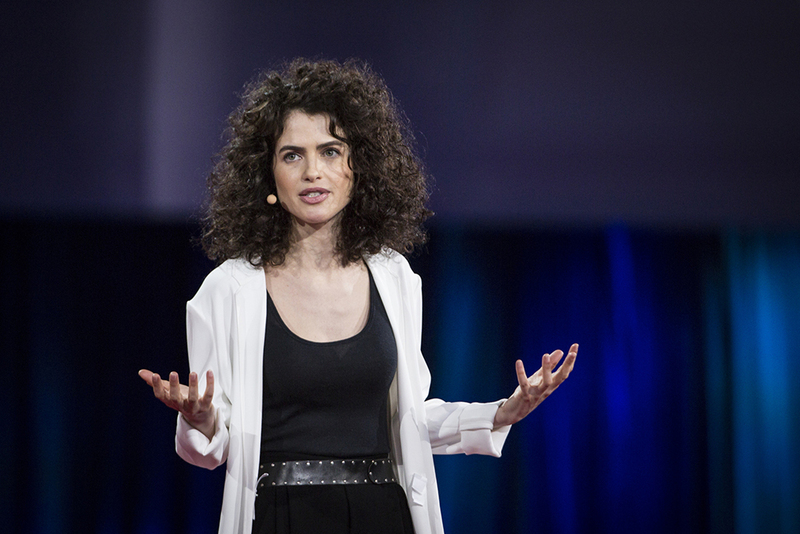 The rumor mill is buzzing around the purportedly budding relationship between Boston-based architect and artist Neri Oxman and actor Brad Pitt. According to Page Six, Oxman met Pitt when he was referred to her for guidance on an architectural project. Since then, the two have developed what the publication called a "professional friendship." Celebrity gossip mag US Weekly took it a step further, claiming the two have been secretly rendezvousing for months, with Brad even tagging along on Oxman’s professional trips across the globe. The Israeli-American Oxman, a professor at MIT and founder of design group Mediated Matter, is known for her forward-thinking approach to architecture and design that fuses natural, biological forms with the growing capabilities of digital fabrication. Oxman has produced acclaimed pieces such as “The Silk Pavilion,” a CNC-fabricated scaffold coiled with silk thread produced by 6,500 silkworms, and “Gemeni” a solid wood chaise crafted to resemble a cocoon, adorned with cells of varying colors and rigidity. Her ventures into 3-D printed wearables also include a design for Björk's Vulnicura tour, a movable mask that mimicked the musician's own bone and tissue based on scans. Oxman’s work is exhibited widely, including at MoMa, San Francisco's Museum of Modern Art, and the Centre Pompidou. This is not Pitt’s first flirtation with the world of architecture. The Hollywood star met and befriended Frank Gehry in 2001, leading to an internship focused on computer-aided design at the international architect’s Los Angeles office. 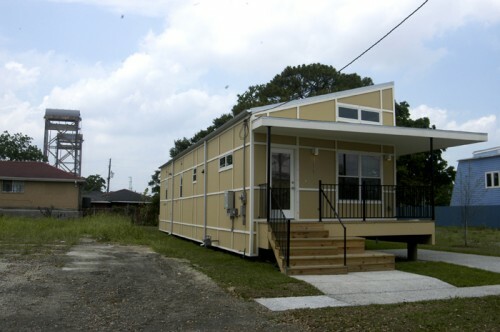 Since then, Pitt has gone on to found Make it Right, a non-profit focused on delivering environmentally-friendly housing to post-Katrina Louisiana. 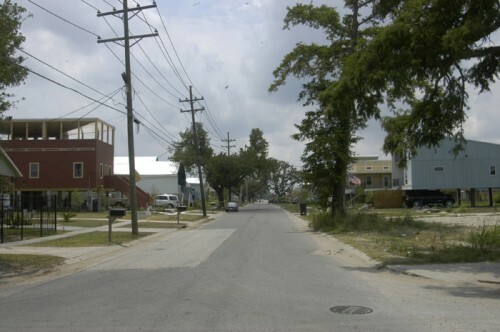 During this venture, Gehry designed a duplex in New Orleans’ Lower Ninth Ward, his only residential project in the state of Louisiana. While Pitt has dabbled in architecture and design, he has nothing on Oxman’s impressive record of academic and design accolades, including the 2016 MIT Collier Medal, the Textiles Spaces 2015 Award, and the 2014 Vilcek Prize. Whatever the truth about their relationship is, Oxman is probably too good for Pitt. 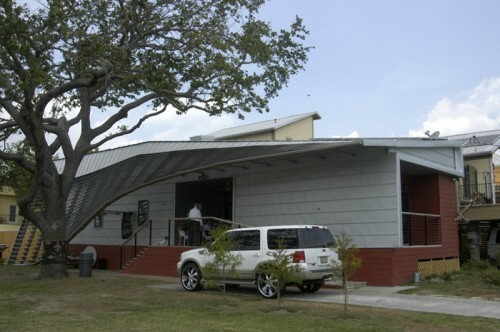 Brad Pitt's home-building operation, Make It Right, was initially established in 2007 to rebuild homes in New Orleans' Lower Ninth Ward after Hurricane Katrina. 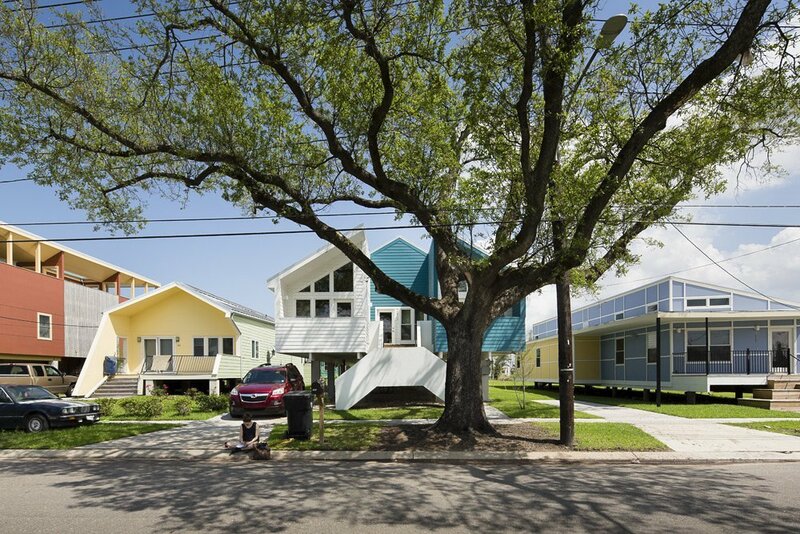 The non-profit has built dozens of starchitect-designed houses in New Orleans and a subsequent expansion to Kansas City, near where the actor grew up. Now the organization has taken up its latest charitable challenge: the construction of several sustainable housing developments in Fort Peck, Montana for a Native American tribe there. Fort Peck, Montana is home to the Fort Peck Indian Reservation, which in turn is the homeland of the Assiniboine and Sioux Native American tribes. The grounds are the ninth-largest Indian reservation in the country, but records indicate there are over 300 people without homes. 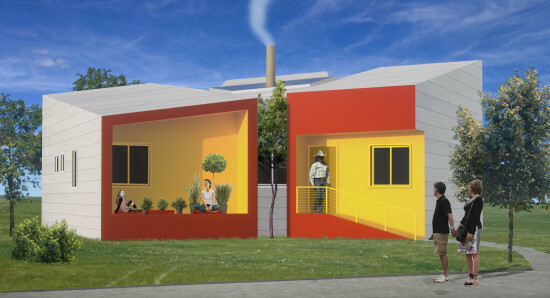 To solve this problem, Make It Right is teaming up with the Sioux and Assiniboine tribes and the architects and designers from Architecture for Humanity and Sustainable Native Communities Collaborative to build 20 houses at the site. The project's chief architects first surveyed the lands and deliberated what kind of structures would be ideal before going to the tribes themselves to ask what sort of houses they preferred. The houses are designed with the customs and traditions of both tribes in mind, such as the directions the doorways face or the significance of certain colors. Construction is slated to begin by the end of the year. All of the homes are expected to be LEED platinum certified when complete incorporating numerous sustainable building practices. You can donate to the project here. 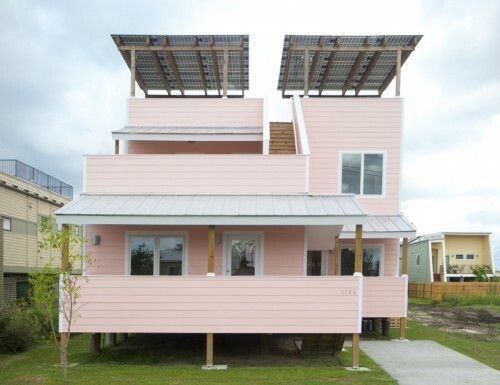 Make It Right, Brad Pitt's development of contemporary, LEED Platinum homes in New Orleans' Lower Ninth Ward—an area devastated by Hurricane Katrina and still far from recovered—has a new addition: Frank Gehry. Gehry's new duplex on the site was completed this week. The surprisingly simple design (especially considering some of the expressive homes in the development) features a waterproof solar canopy, a roof terrace and six covered porches. Still one could argue that Gehry's stilt-raised design, with its fiber cement siding (that looks like local clapboard siding), metal roofs and focus on outdoor space, is one of the most contextual of the bunch. 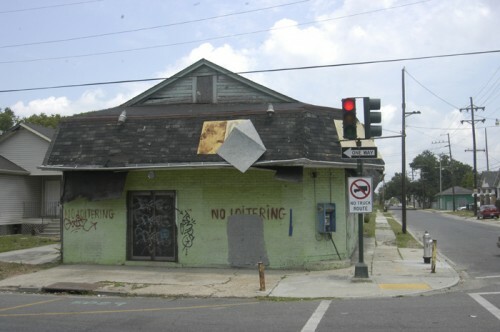 While at the AIA convention we ducked out for a few hours to explore New Orleans' Lower Ninth Ward, the area most devastated by Hurricane Katrina. 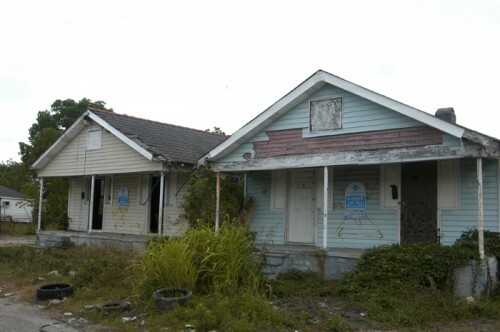 While much of New Orleans has recovered pretty impressively, the Lower Ninth is still in horrible condition. Countless houses have been abandoned—boarded up and rotting—and many still have rescue workers' markings on them from the flood six years ago. 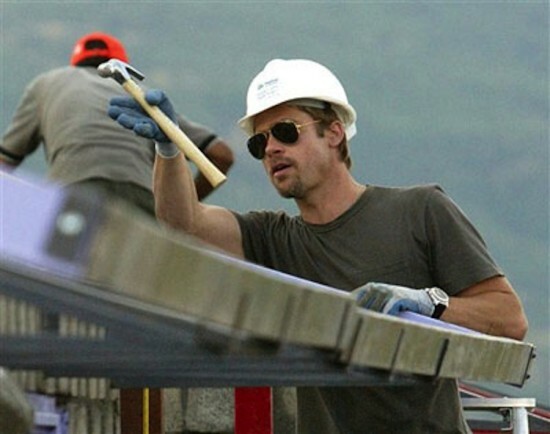 Then right around the corner is Brad Pitt's Make It Right houses, 75 of which have been completed. In case you haven't read any design magazines lately, they're contemporary, and sustainable, takes on local architecture from the likes of some of architecture's biggest stars. Say what you will about the architecture of Make It Right (in my opinion some is inspired and some is a little over the top) it's gradually becoming a nice little neighborhood, with people sitting on their porches, enjoying their brand new homes. Unfortunately the rest of the Ninth needs serious help. Make it Right's Executive Director Tom Darden told AN that the organization would like to expand the program, but are waiting for more funding. But even 100 more houses wouldn't be close to enough. 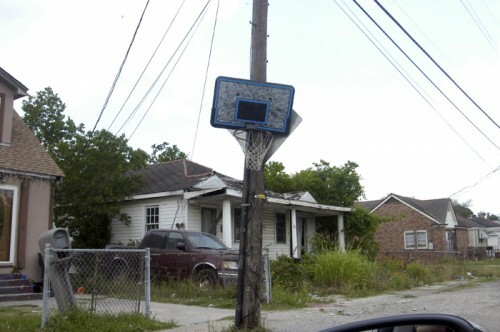 This neighborhood needs help fast. More pictures in the Lower Ninth below.